Finally....I have finished a crochet project. Yay!!! 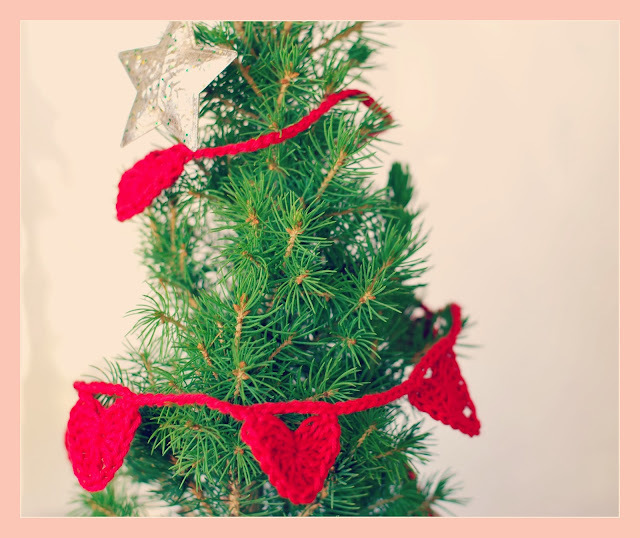 This is my little crochet heart garland that I've made for my daughter's teacher as an end of year thank you gift. I am really happy with how it's turned out. 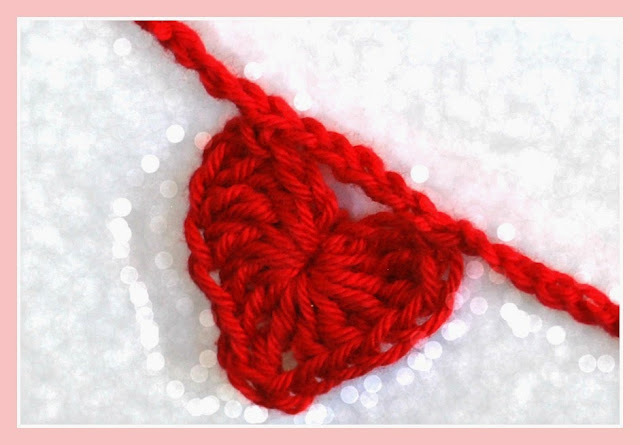 I've done it using a 3mm hook (US D) in a bright red cotton/acrylic blend yarn. There are twenty seven hearts all together to represent the 27 children in her class but you could use more or less depending on where you want it to go. I think this one would look very sweet draped around her desk or hanging in her class room. 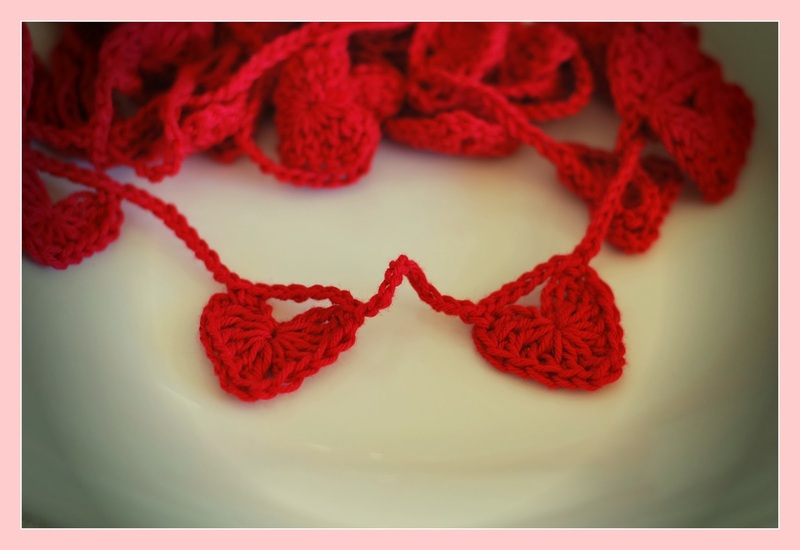 The actual pattern for the hearts comes from here at Little Birdie Secrets blogspot. They are very easy to whip up and took no time at all to make. To make them into a garland I simply did 40 chains (as an end for tying etc) then single crocheted to the top of the heart, then did about 5 chain stitches and then another single crochet to the other side of the heart. I then did 10 chains before attaching another heart. Once they were all attached, I chained another 40 stitches to form another end for tying and then fastened off. Voila.... a very pretty and unique teacher's thank you gift. It looks very effective around my table Christmas tree too!! What's on your hook this week?? Hi. Love love love these hearts. Going to try them!